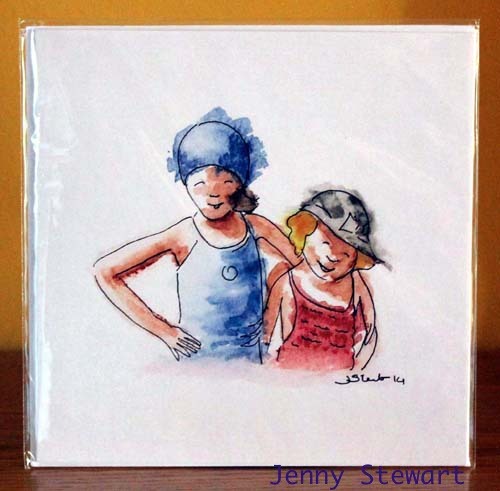 Jenny Stewart is a local amateur artist whose charming and fresh creations make ideal gifts as well as treats for yourself. 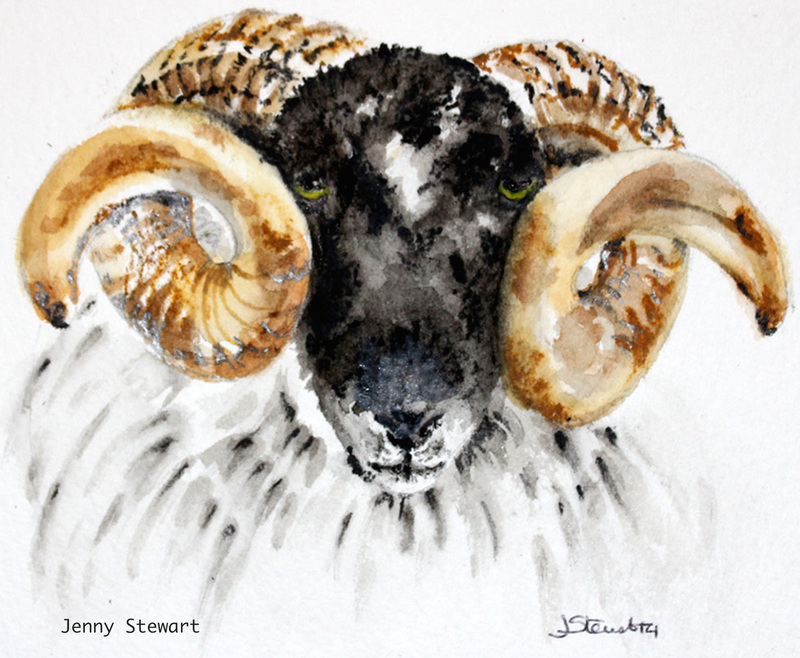 Her work is peopled with various delightful ‘furry friends’ including a highland coo, a Scottish ram, deer, puffins, mice and even pandas! She also makes lovely tableaus of children playing, as well as taking commissions for portraits, pet portraits and baby gifts. Her work will be for sale at our Spring Into Summer Art and Craft Fair on Saturday May 2nd,11am-5pm. Jenny will also be showing off prints from her new collection ‘A Cat for all Seasons’! Previous Previous post: Bluebell Design – A sure sign of spring! Next Next post: Bloomin’ Marvellous? – It certainly was!